be sure to keep us updated when you do more work. new to the forum and welding. i started a class in june of last year and finish this june. 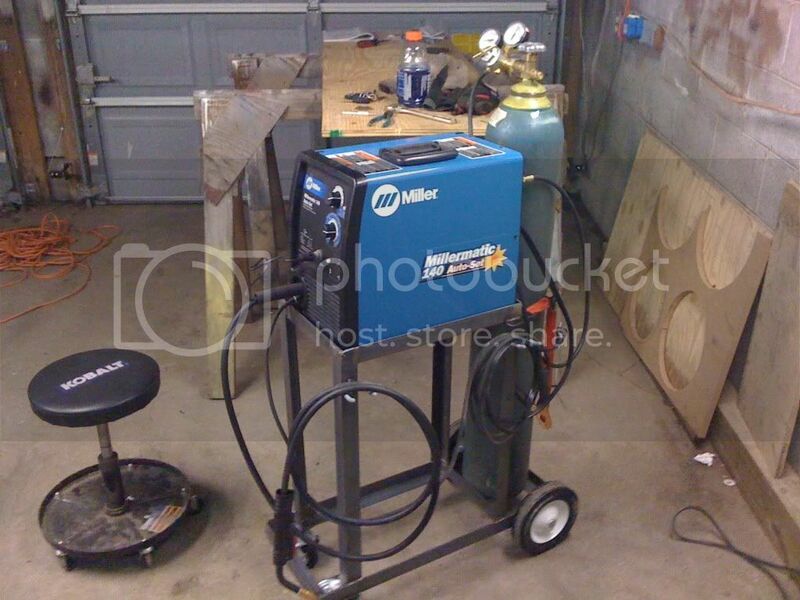 i thought i'd share my little welding cart i built for a used millermatic 135 i just bought not too long ago. this is my first project with my welder. i painted it to match the miller blue. i know it's basic but it serves the purpose. I like to build trucks that sit flat on the ground, so of coarse my welding cart had to be as low slung as possble! Don't worry, there is a verticle piece of 1*2 on the back to secure the tank to, and hold the recepticle for my extension cord. It needs a handle of some sort, currently I drag it around using the handle on top of the welder. I do plan on adding somewere to hang the gun and my helment. Currently it all gets piled on top of the bottle. That is badass man. And I hear ya about trucks that lay on the ground...I'm currently working on a 'bagged '99 silverado. Thank You so much for the mounting pics, I have finished the frames but don't know how everyone was mounting the tires.... thanks for sharing. just got a 211 and put it to work making a welding cart. Wow.. I like it, really like it. Less is more. Couple of questions? Where else were you planning on adding steel? The only thing that I can see that I'd be a little bit nervous about is those tall bottle supports are cantilevered pretty far off the base. I'd sure like a tie in to the rest of the frame, either on one side or both sides of the tank. Can I use you for inspiration for my next cart? i was planning on one bar to the bottle supports, so i could still get the bottle on from the other side. and **** yes, use it as inspiration. thats why i posted it, to share with the world. 25 feet of steel and 10.00 for the wheels at menards, plus primer and paint. i think all together i have 65 dollars into it. 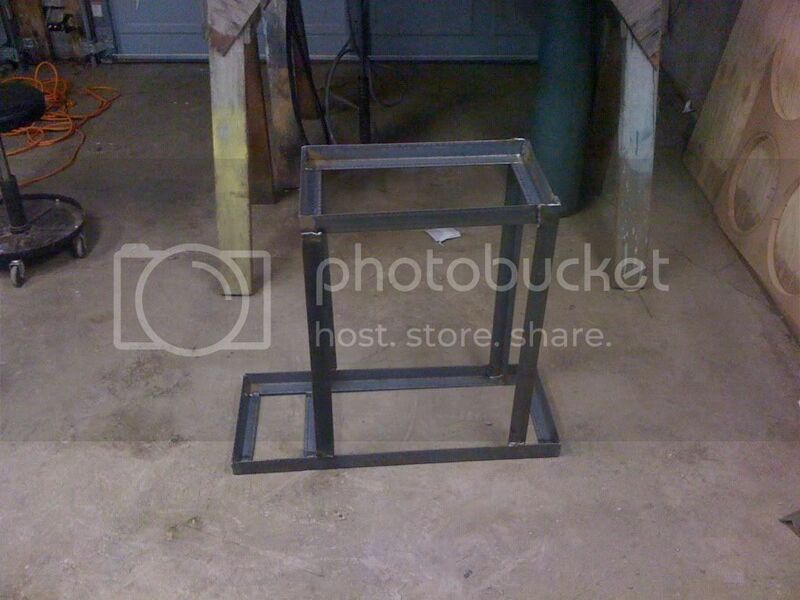 My welding cart made out of scrap railing which used to line a college dorm. It's only primered at the moment and doesn't have a gas bottle yet for the back platform. 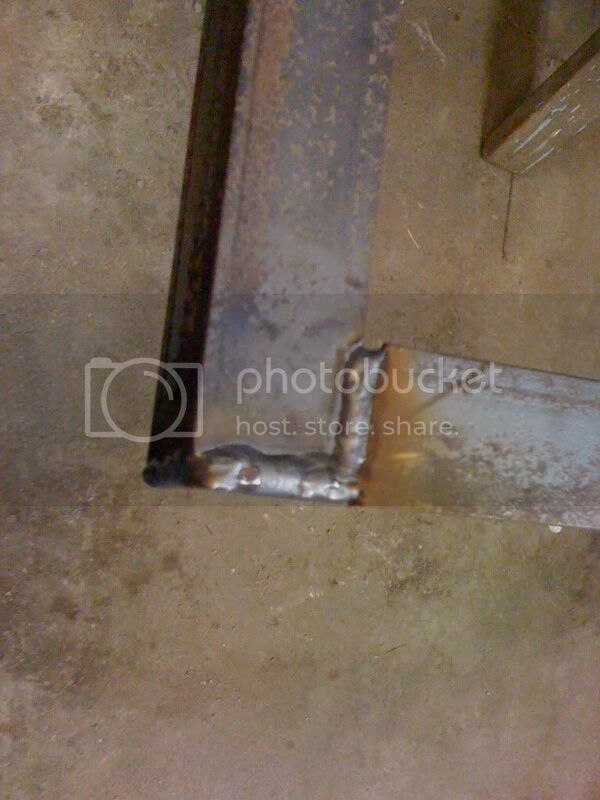 Next to the cart is my mechanic's shop seat made out of angle iron and expanded metal. Both were welded using MIG. Here is a picture of the cart I made. When I bought my welder the carts were of 100 dollars so I figured I could make my own. 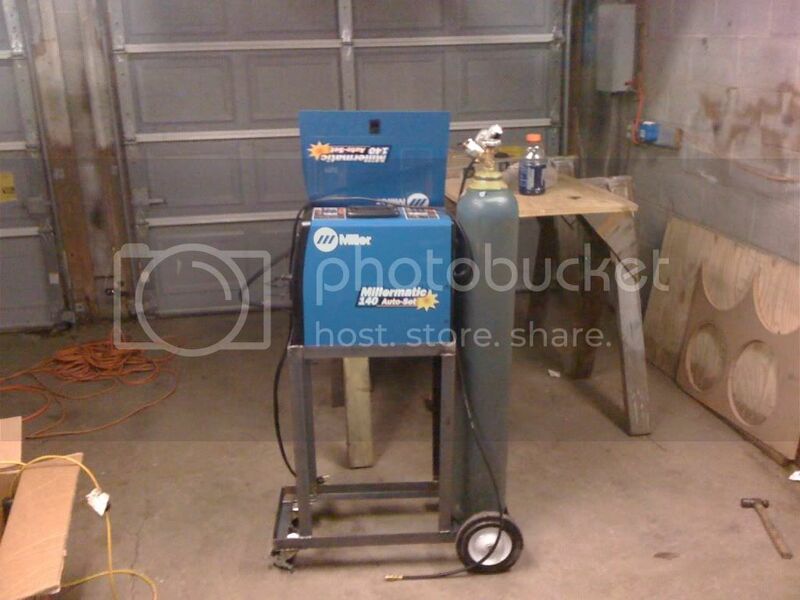 This is literally my first welding project. Since I have built it I need to change some things around. I need a handle and I also need bigger hanger for my leads. I like the red one. <G> Little comfort details sure help the job along!